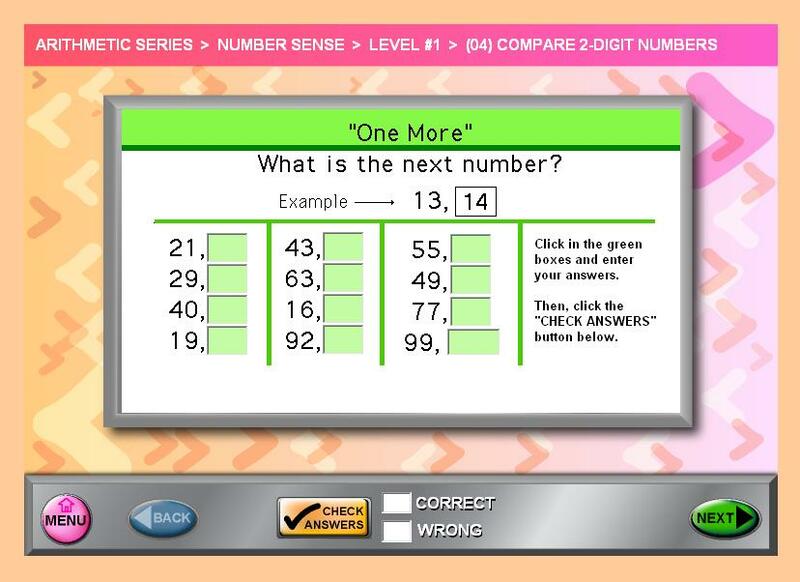 Grades K-6 math students may begin with this 1st program in the "Arithmetic Software Series", the "Number Sense" program which is divided into 3 levels of difficulty including advanced numeration concepts. 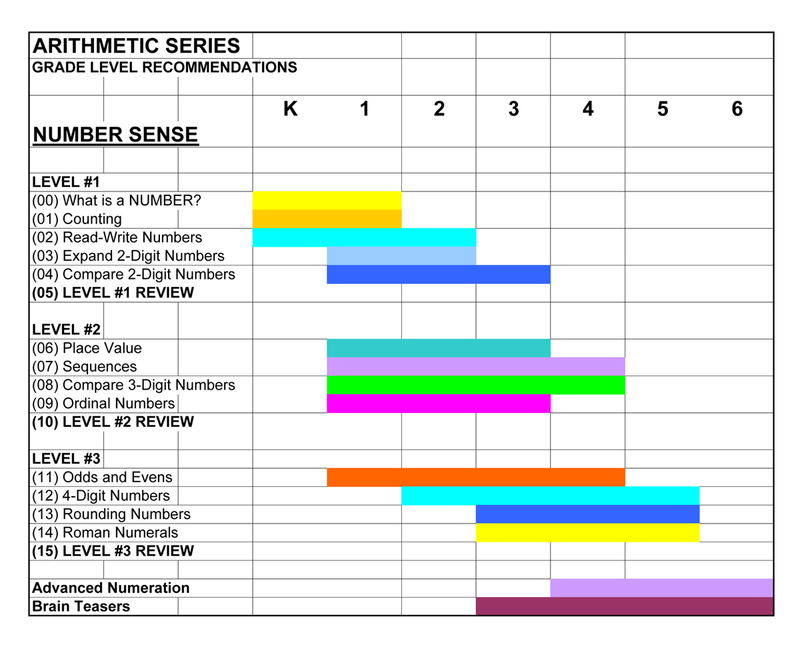 Each level concludes with a review which can be scored, printed, and used for placement or evaluation purposes. Additionally, per your requests, we have included worksheets for every section. 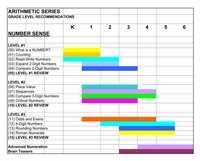 You print the worksheets as needed for class or homework reinforcement. 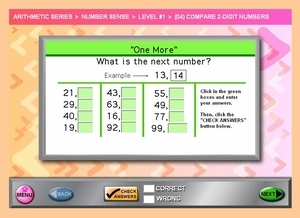 The introductions and explanations on the worksheets mirror those in the program and the questions are the same with different numbers. This is a complete learning system. Audio assistance is available on demand for early readers. This program has 16 sections. Each section has 20-30 interactive screens. 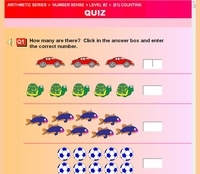 Each section concludes with a quiz - the score is recorded on the included database. Each section has a mirror-image worksheet for pencil and paper work.